Home / Articles / What Can I Do When My Ex Withholds Custody From Me? What Can I Do When My Ex Withholds Custody From Me? What can I do when my ex is withholding custody from me? When a parent is withholding custody, how to proceed depends on whether or not a court order has been entered. If a custody order has been entered, then the issue becomes a matter of contempt and seeking sanctions, such as fines, make-up custodial time, and even jail time, to compel the opposing party to follow the court’s order. In this state, what sanctions are issued is in the judge’s discretion. If the opposing party is withholding custody and there is no custody order in place, then, in this state, either an emergency or expedited petition for custody may be filed, depending on the circumstances. In Pennsylvania, a party may only withhold custody if he or she has a justifiable good faith reason for doing so, such as protecting the children from physical harm, and seeks a modification or entry of court order upon withholding. 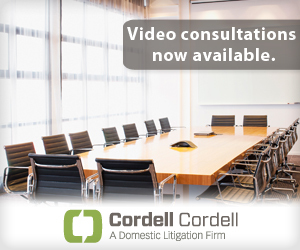 ← Can You Use A Recording As Evidence In A Custody Case? How often are the penalties for contempt ever used? It seems that once the party in contempt realizes that there are no remifications for violating a custody order, they become even more willing to ignore whatever the court says. Have there ever been any attempts to give this more teeth? Has it ever been discussed that violating a custody order should be a criminal offense?